Manufacturer of outdoor teak furniture that’s combined with stainless steel and aluminum. It’s a lifestyle brand specializing in unique design and Original Equipment Manufacturing based on the client’s needs. Building every piece of furniture with uniqueness, great functionality and emotional design. Gained client base in both retail and special projects both domestically and internationally. Three showrooms in Thailand, which are in Sukhumvit 24, SB Design Square Ratchapruek branch. Also sales representatives in Japan, France and Italy. Be recognized worldwide as a high quality and design lifestyle furniture brand. Signifies acceptance and belief that push the brand further in the international market with pride. DEESAWAT’s furniture goes beyond functionality because it also gives the users a unique feeling from the meaningful details it’s built with. To beat the endless competition in the world of manufacturing, furniture industrialists need to go beyond just good materials. The uniqueness in their designs needs to make their products stand out amongst the limitless choices the consumers have. 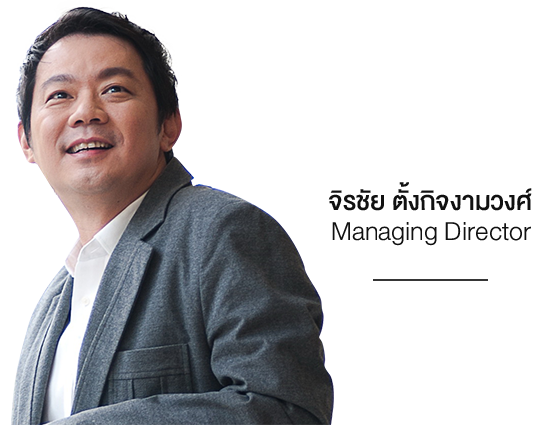 Khun Jirachai Tungjitnyamvong, the second generation CEOs of Deesawat Industrial Company, a furniture manufacturer specializing in exports that was founded in the year 1972 is the year he’s determined to keep progressing his business to always stay ahead of the market. 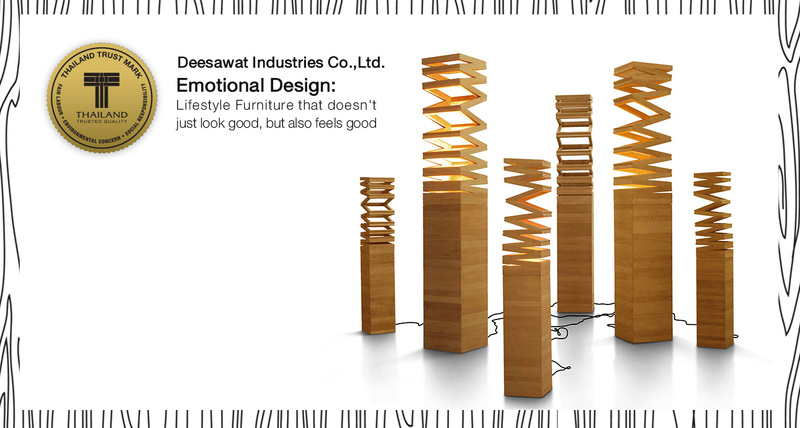 After taking over his father’s business, DEESAWAT has become a lifestyle furniture brand with products that impress. Not only does his products come with great functionality, but also carry a uniqueness that makes their users feel good with every collection. DEESAWAT’s main product is outdoor furniture that’s been meticulously made from teak wood. All the pieces focus more on unique designs rather than the Original Equipment Manufacturing process, which is based on the needs of the customers alone like in the past. 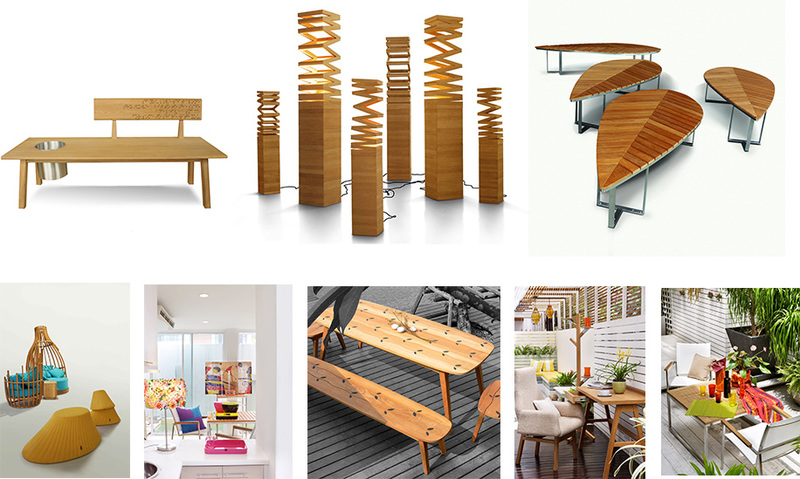 To become the leading furniture manufacturer in the international market for the long run, the brand needed to have its own uniqueness through inspiring designs. This was the challenge that DEESAWAT has been conquering for the past 10 years, whether it’s the concept or the design theme that makes consumers’ needs a reality. Wellness sharing or eco for example help build the brand’s characteristics that goes beyond sales. It may not be the most beautiful piece of furniture, but it has been designed to satisfy the needs of its user. This is the story of “Emotional Design”, design that’s beyond just function and aesthetics, but also emotion. Being known as a vintage wood factory specializing in quality teak wood, DEESAWAT’s customers can be divided into two different groups: retail shops and special projects in and out of Thailand. It also has 3 showrooms in Thailand and sales representatives in Japan, France and Italy. This goes to show that the DEESAWAT brand is a Thai brand that’s accepted worldwide. The manufacturer’s goal is to give the customers more than just furniture, but it’s a lifestyle brand that gives comfort and happiness to the users everyday. It also brings great joy for the customers to be able to pick and choose the right kind of furniture for their homes. The after-sales service is also something worth mentioning because through polishing and maintenance services, it not only impresses the customers, but it also helps the furniture lasts longer. To maintain the brand’s pioneering image and unique characteristics, constant progression is always a good thing to push the brand further. It also needs the right allies, especially when it comes to gaining international popularity. DEESAWAT thinks that by combining small brands, making them one, will help build the brand to be more successful internationally. With this being said, fairness is at the heart of it all because to shape a successful business, every party, from customers to collaborators, need to be treated fairly. This is the principle that DEESAWAT as a brand lives by. Standards and awards are the reflection of determination. Popularly known as the brand specializing in unique design, DEESAWAT always challenges itself to create more and more unique furniture. So it’s not a surprise when it wins recognitions for it. It has won the Prime Minister’s Export Award under the category of Design Excellence in 2011. Not only that, it has also won the G-Mark Award and SME Thailand Inno Awards 2015 to prove its quality and uniqueness. Lastly, it has been firmly stamped with the distinguished Thailand Trust Mark, which signifies that DEESAWAT shines, not only for its excellent quality, but also for its artful design. In the end, it’s the determination behind every piece of furniture that sets DEESAWAT apart and it’s also the thing that brings pride and promise for a blossoming future. that push the brand further in the international market with pride.